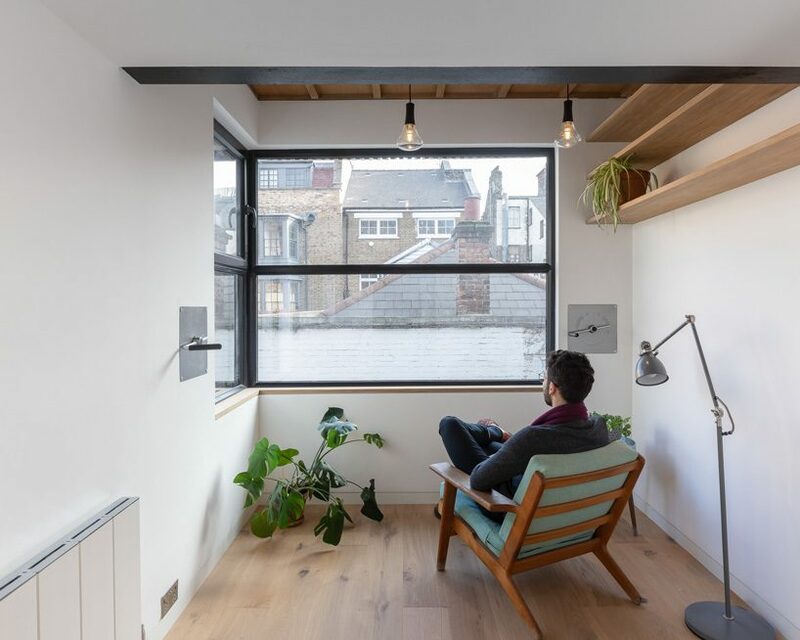 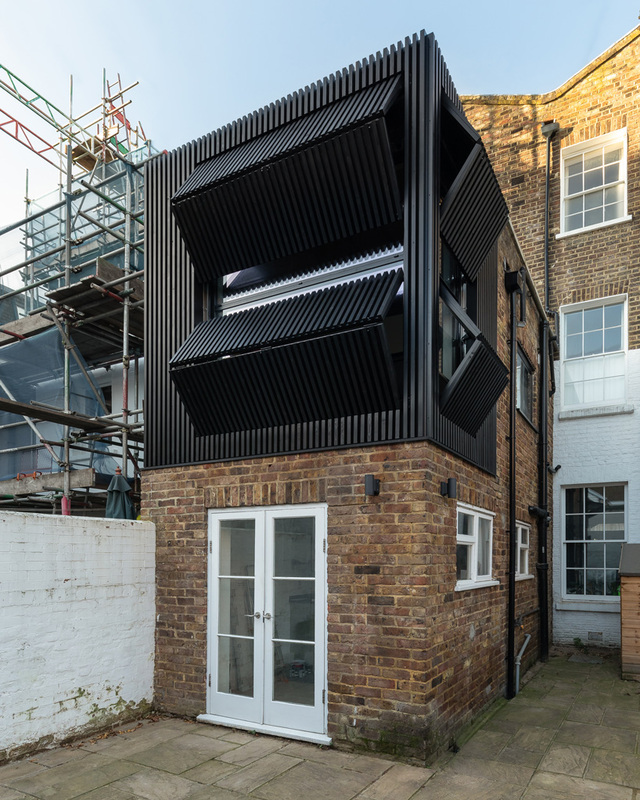 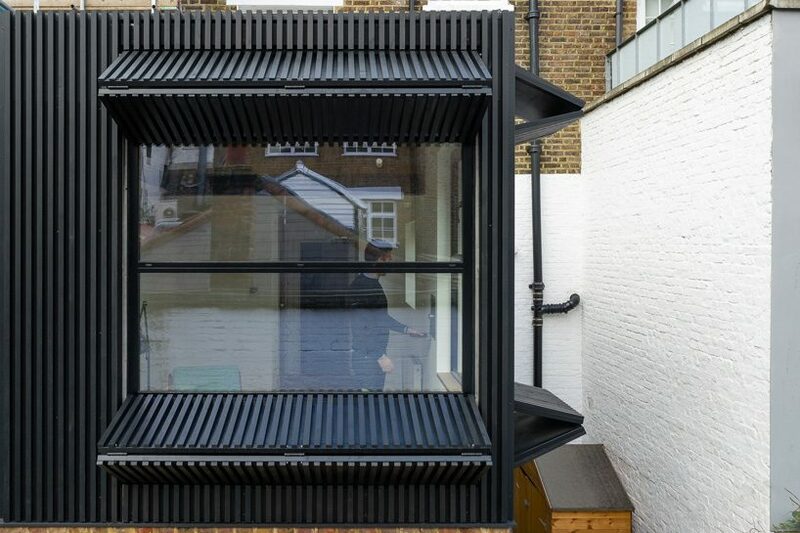 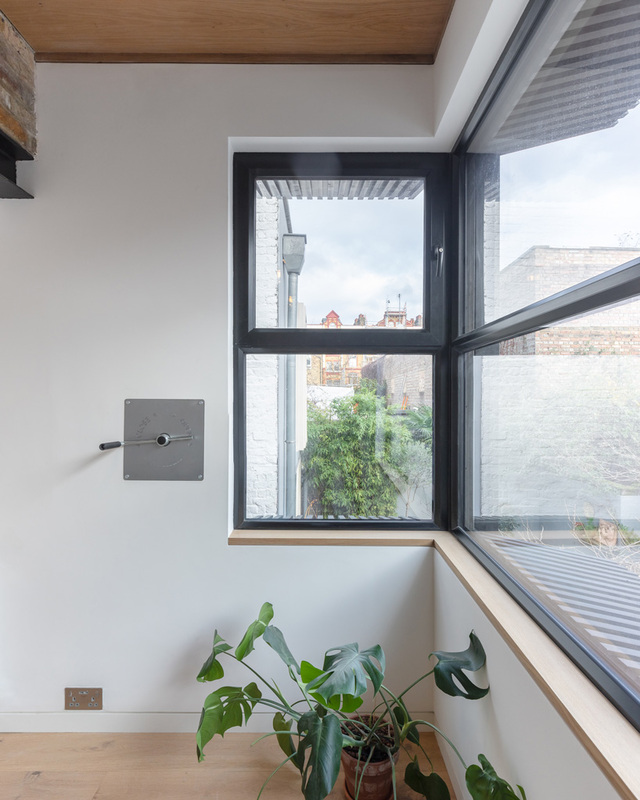 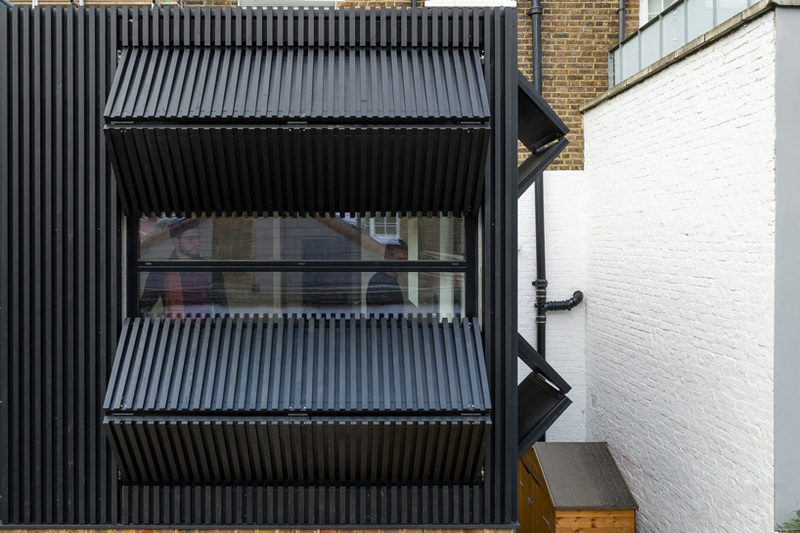 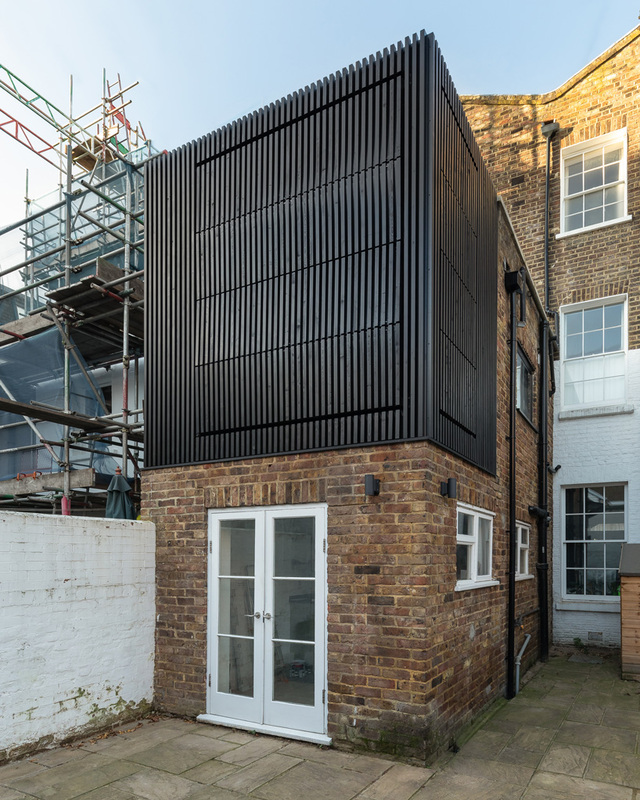 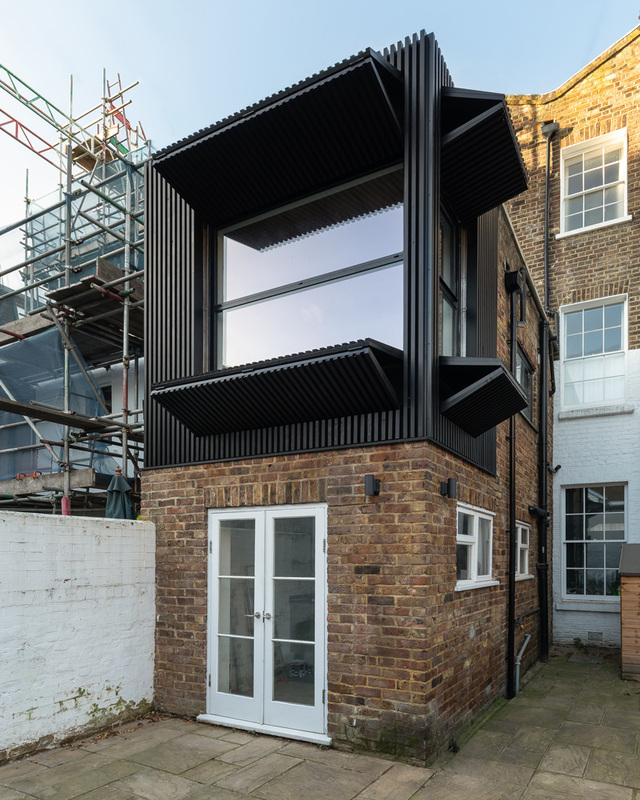 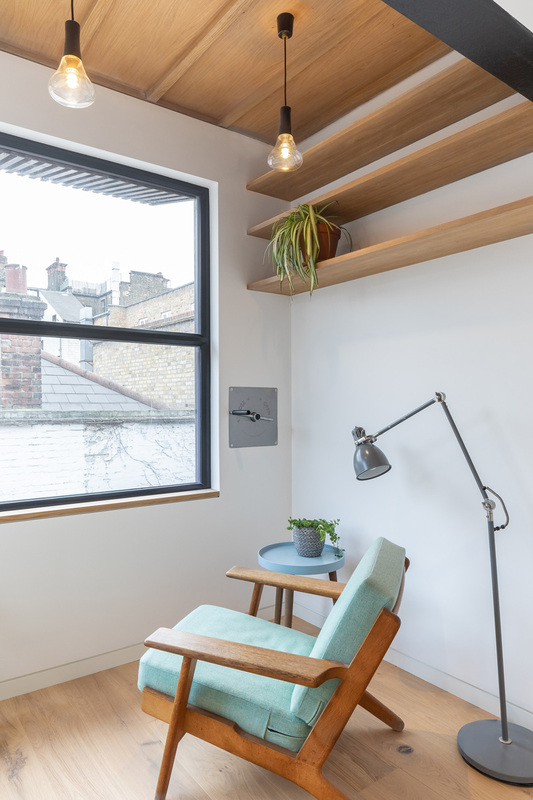 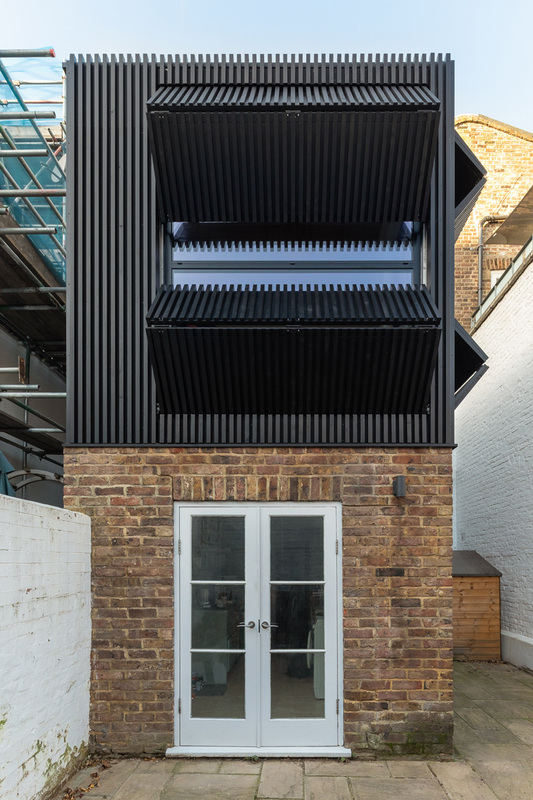 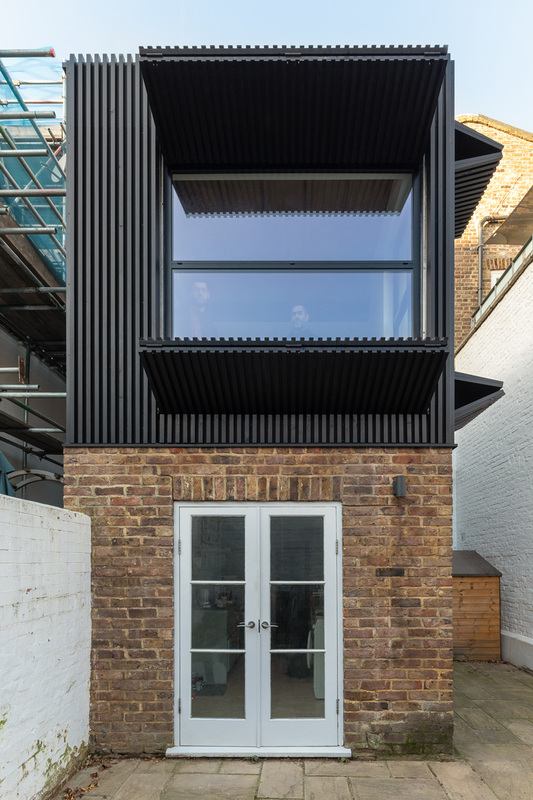 black box is a small, first floor rear extension to a mid terrace victorian era house situated on a dense site in london‘s islington neighborhood. 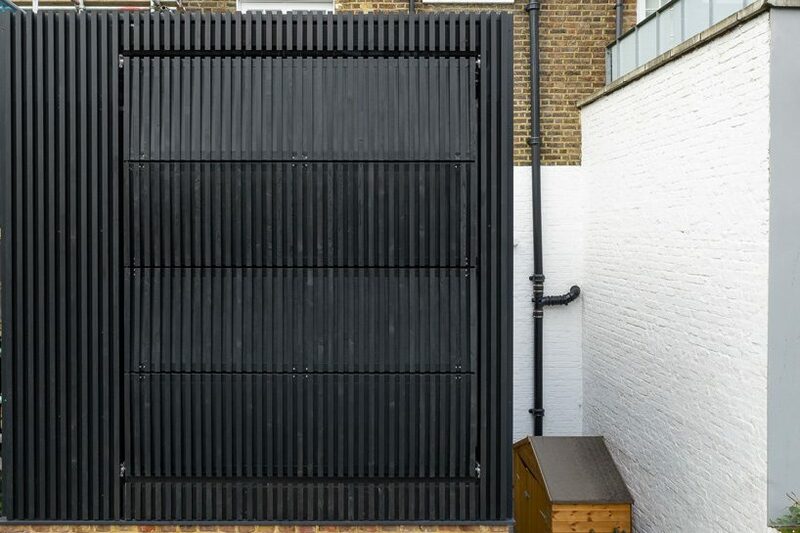 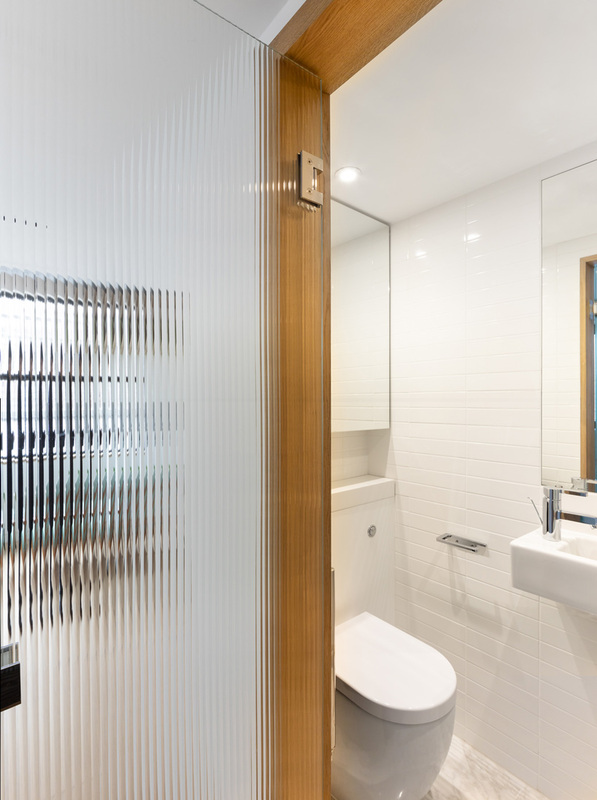 with the desire to maximize natural daylight and celebrate key views across adjacent gardens, while still maintaining enough privacy and security, mata architects has built the extension as a ‘reconfigurable box’ in dark stained siberian larch, fit with two bespoke counterbalanced shutters that are manually operated internally using winches. 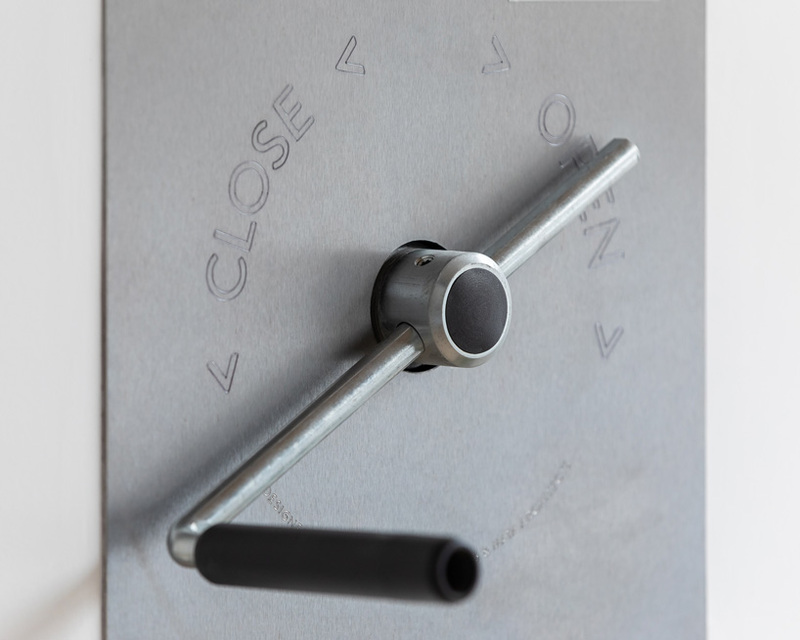 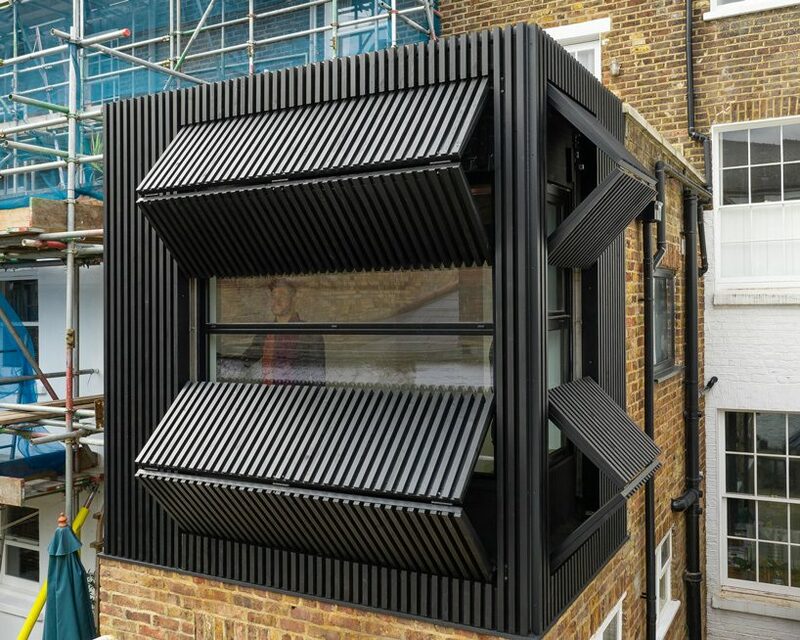 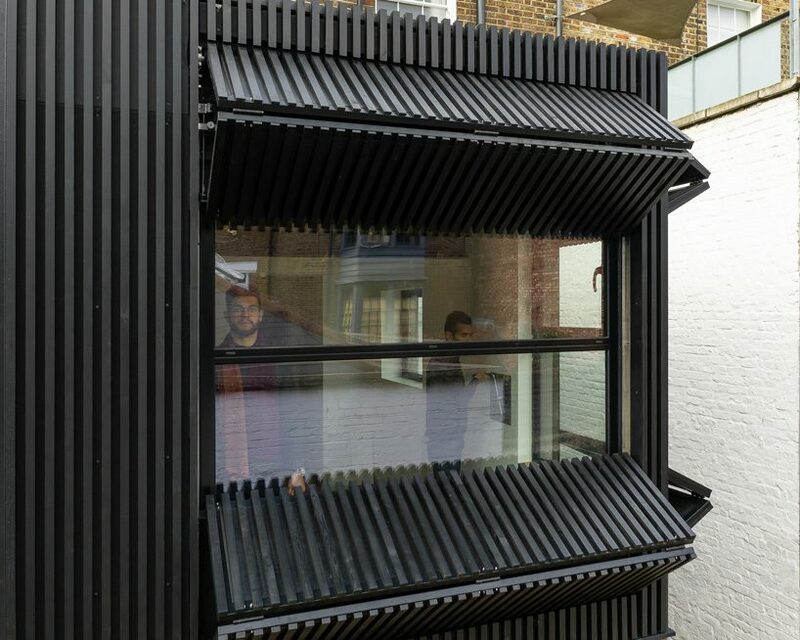 mata architects has conceived the extension as a box that can be configured in multiple ways, from fully open with window overhang, to counter summer solar gain, to shut tight. 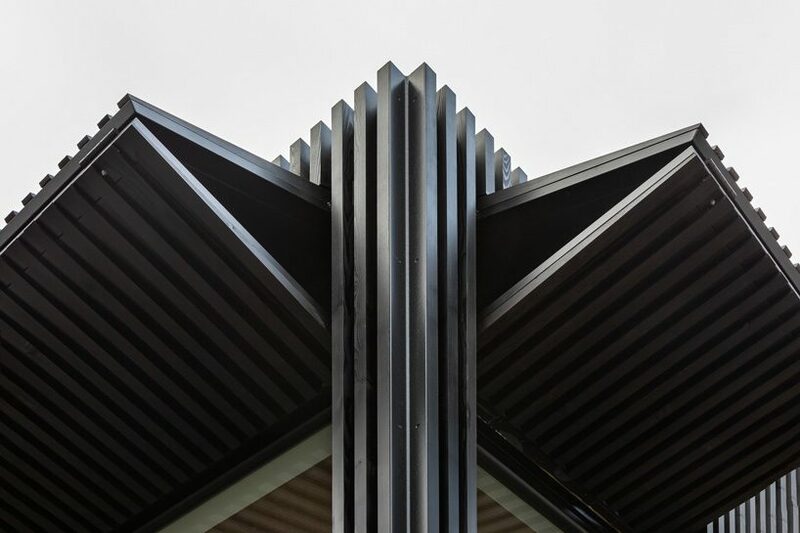 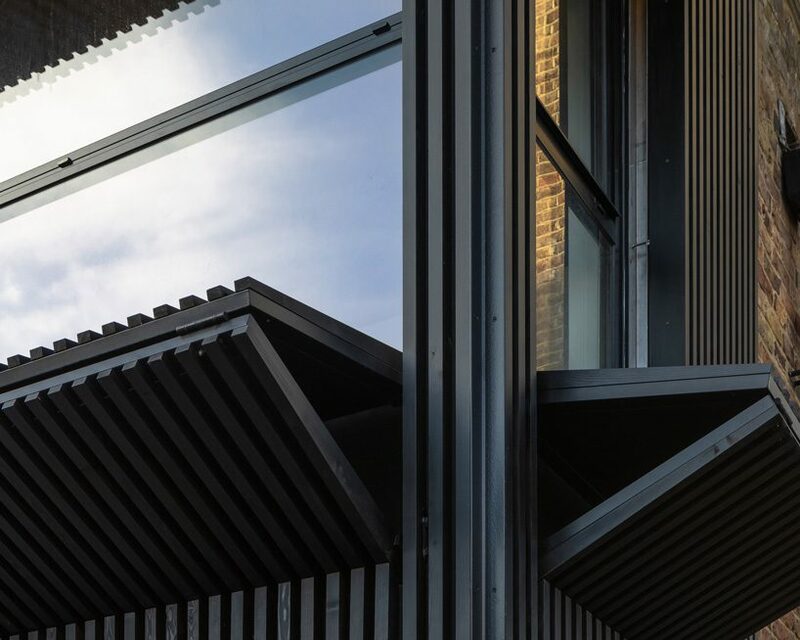 the dynamic nature of the façade encourages users to interact with the architecture and adapt their environment for comfort.